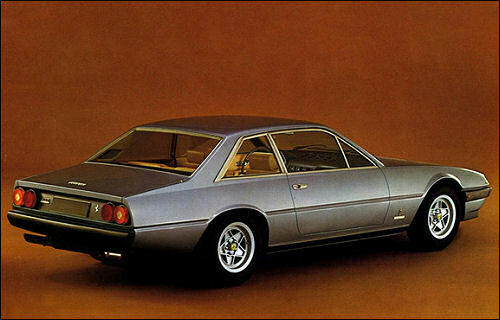 The 400 GT replaced the 365 GT4 2+2 model, making its public debut at the 1976 Paris Salon. 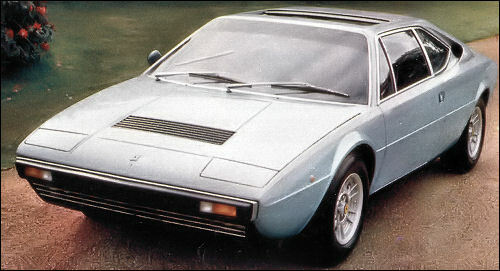 Visually the 400 GT model can be differentiated from its predecessor by a small body colour spoiler on the lower edge of the nose, five bolt fixing for the five spoke alloy wheels instead of the single triple eared spinner, paired circular rear light assemblies, and the disappearance of the “Cavallino Rampante” from the radiator grille. 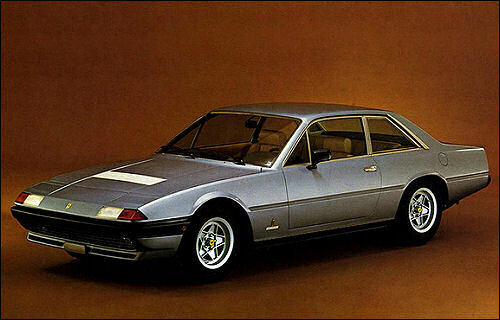 For the first time a model with automatic transmission became available on a Ferrari production car, the 400 Automatic. 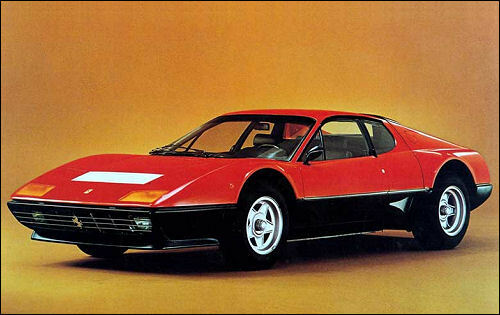 The 512 BB was announced at the 1976 Paris Salon, replacing the 365 GT4/BB. 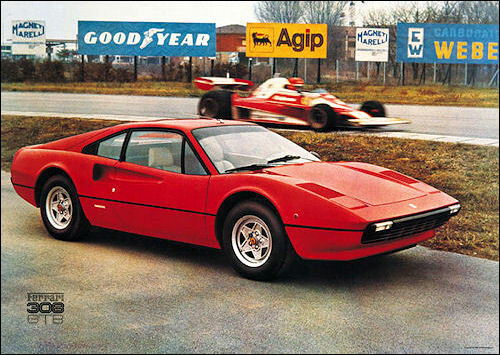 Visual differences between the 512 BB and the 365 GT4/BB are mainly around the nose and tail. The lower nose panel now incorporates a chin spoiler, and at the rear the triple tail light assemblies and triple exhaust pipes gave way to large twin circular lenses and paired twin exhaust pipes. 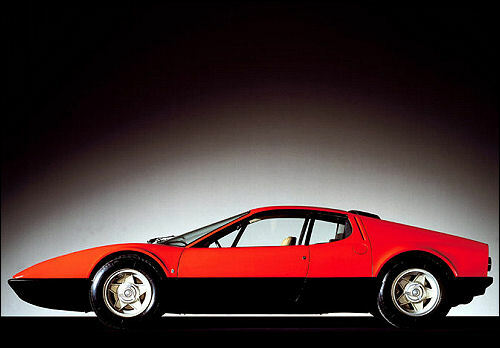 The twin tail light arrangement mirrors that shown on the original prototype displayed at the 1971 Turin Salon. 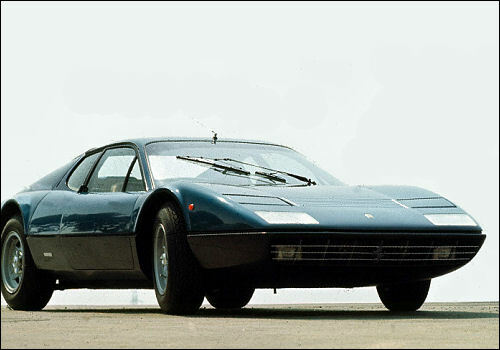 The mesh tail panel of the 365 GT4/BB is replaced by a satin black finished horizontally louvred panel, with further changes to the louvre arrangement on the engine lid. The body sides received NACA ducts forward of the rear wheel arches to cool the exhaust system, whilst the rear track is increased from 1520mm to 1563mm. 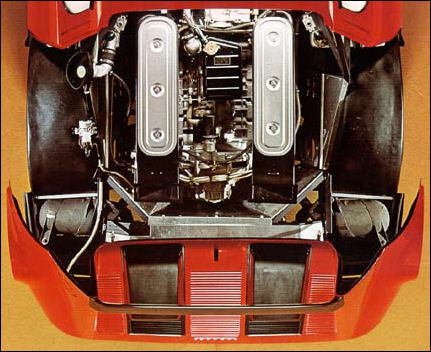 The flat twelve cylinder engine has the same configuration as that fitted in the 365 GT4/BB, but with a cubic capacity of 4943cc, and 82mm x 78mm bore and stroke. It features belt driven twin overhead camshafts per bank, dry sump lubrication and a hydraulically operated clutch. 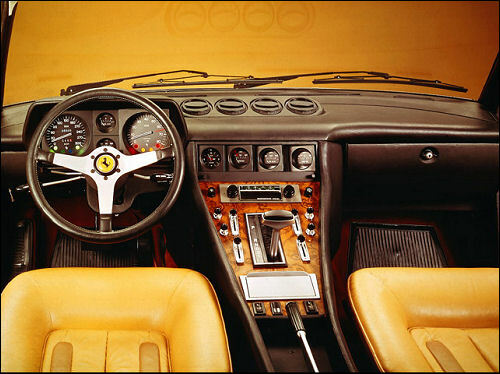 The 512 BB is fitted with four triple choke Weber 40 IF 3C carburettors and electronic ignition system, to produce a claimed 340 bhp. Although the earlier 365 GT4/BB produced more power than its later relative, the larger engine offers greater torque and improved driveability. 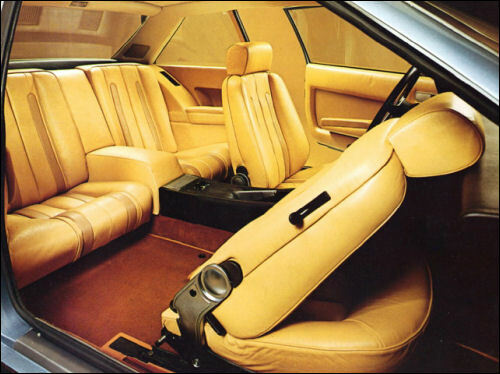 Bertone designed the body of this 2+2 coupe with V8 engine mounted transversely behind the seats. In the nose are spare wheel and a small luggage space; in the tail is another luggage locker. Cars delivered in England have electric window operation, tinted glass and heated rear window. Optional extras include air conditioning, leather upholstery and sun roof. A limited slip differential helps in using the great power safely. 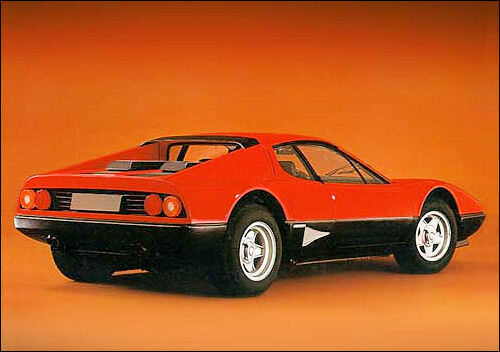 As successor to the mid-engined Dino 246 GT, this model has much-refined lines by Pininfarina with retractable headlamps. 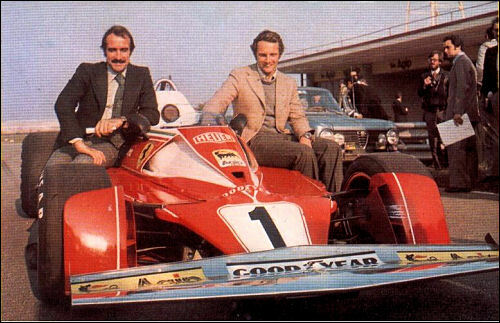 The engine is larger and the bodywork still on a tubular chassis is moulded in glass fibre for the first time on a Ferrari. The engine is a 90-deg. 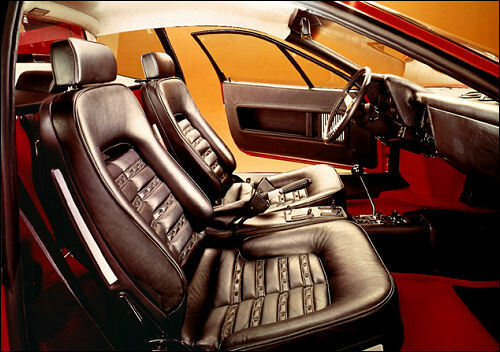 V8 mounted transversely behind the seats with four belt-driven overhead camshafts and dry sump lubrication. 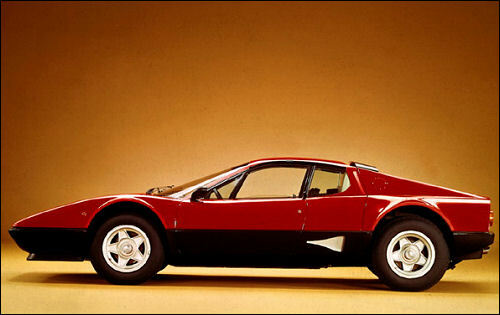 365 GT4 (V12 cyl, 4390 cm³, 340 cv; wb: 2700 mm) - end of prod. 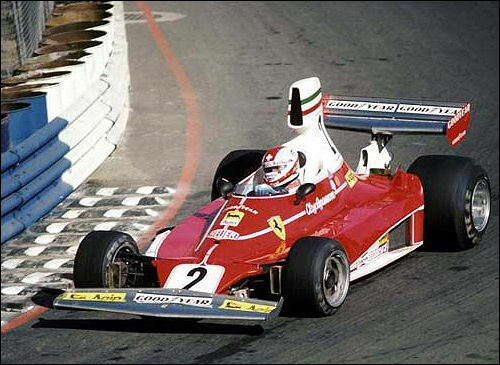 The last victory of the 312 T: Clay Regazzoni at GP US West. 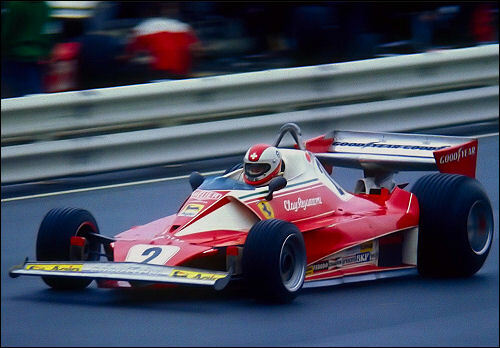 Clay Regazzoni in 312 T2 at German GP. 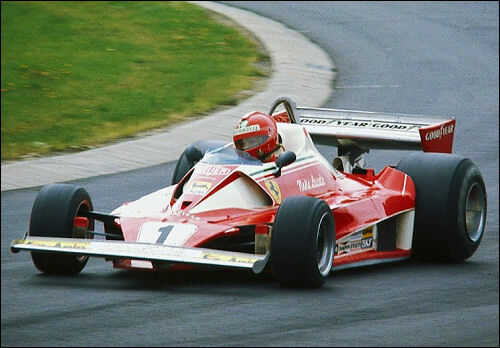 Niki Lauda in 312 T2.